If you’re unsure as to whether changing providers would be beneficial, here are a few things to think about. CynergyData Texas has no contract or cancellation fees. We offer live tech support around the clock and have been a locally owned business in Round Rock, Texas for the past twenty years. We have the ability to show you that with CDT, you won’t be overpaying. 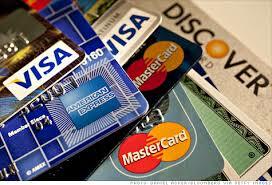 Another fact that separates CDT from other credit card processing companies is that we do not offer promotional rates. Why? Because that’s just not who we are. We give you fair pricing from the start, with no surprises. We enjoy building a relationship with our clients, which doesn’t include offering lucrative prices for a limited period, just to turn around and hike them up. We will work to ensure that partnering with CDT is a mutually beneficial relationship. For instance, we were able to save a client $400 a month by setting them up with a mobile device to capture sales, rather than entering them manually. For those who are past manual processing and are looking to change credit card processing providers, you’ll be happy to know that the average CDT customer saves about 20% from fees charged by their previous processor. The application process is quick and simple, and all that we require of you is a copy of a voided check. The majority of new clients will be able to fully take advantage of the services we offer on the same business day. Clients who offer e-commerce will likely take an extra day, but would know exactly where we are in the process as customer service is one of our strengths. We also provide the equipment needed to best serve your customers, including an EMV compatible phone. With no contract or cancellation fees, superior customer service, and customized payment systems, CynergyData Texas wants to be your last credit card processor and partner in financial success. To get started with us today, give us a call at 800-760-4767 and we’ll be happy to answer any other questions that you may have.